At least 5x wear life vs other brands! 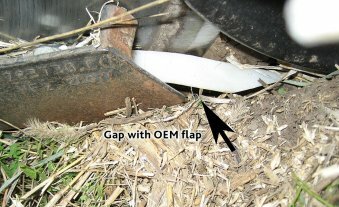 Exapta’s Ninja flexible seed bounce flap keeps more seeds in the furrow, and is less prone to breakage in the field (less brittle) as compared to OEM or other aftermarket flaps. 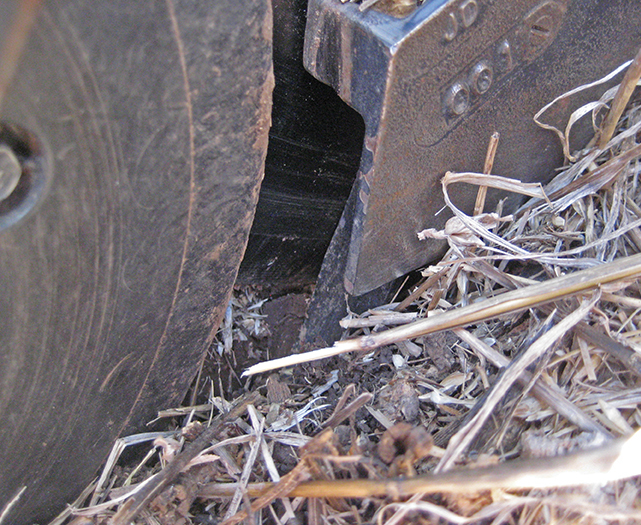 Exapta’s unique forward bend puts more seeds in the bottom of the furrow. Straight, stiff plastic seed flabs (‘tabs’) such as OEM and competitors leave a gap through which seeds can escape. 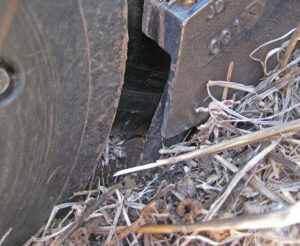 Our Ninja flap has a 20-degree forward bend to help close the gap, thus keeping more seeds in the furrow. The flexibility of the Ninja prevents it from riding up (lifting) on the sidewall like a stiff flap would, which makes the gap bigger on those flaps. 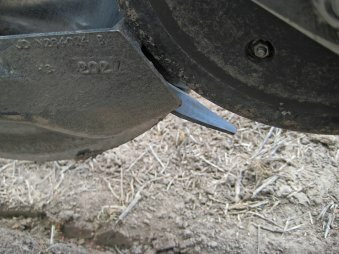 The flap on the seed boot is what keeps seeds from bouncing out of the furrow, and this is even more critical on air drills, since the air stream is also trying to escape and may carry seeds along with it. However, JD & aftermarket flap suppliers use a straight flap, made from materials that are too brittle—often snapping off in the field. The issue with straight flaps is that it leaves a triangular gap for seeds to escape, and this gap gets larger when the straight flaps bend upward during use, due to riding on the sidewall. For seed boot on JD 50, 60 & 90-series NT drills. Manufactured to Exapta’s high-quality specs for longer service life (less breakage, maintains strength) and 20% more force applied to the boot. Special ultra-durable paint process prevents rust. Plus a splotch of blue for visibility. Replaces Deere N284055 & N280485.